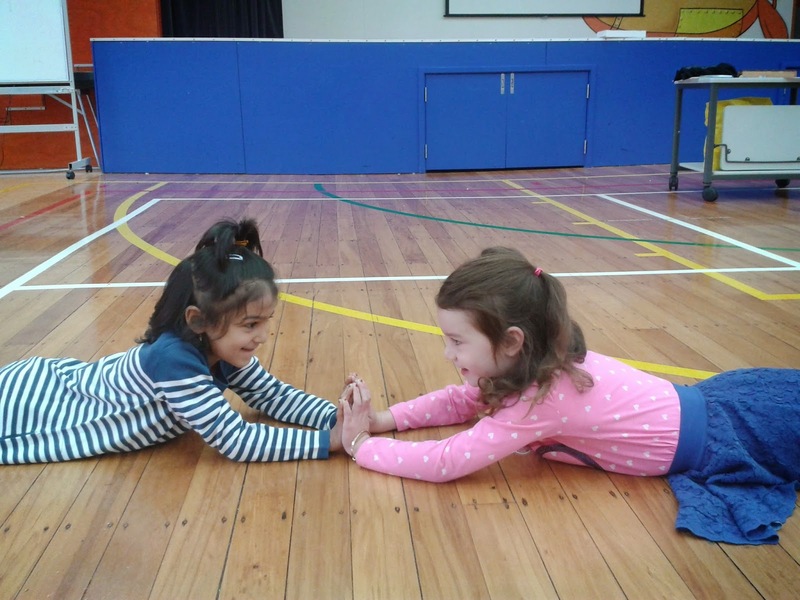 The juniors have been doing lots more singing, dancing, and playing in music time this term. 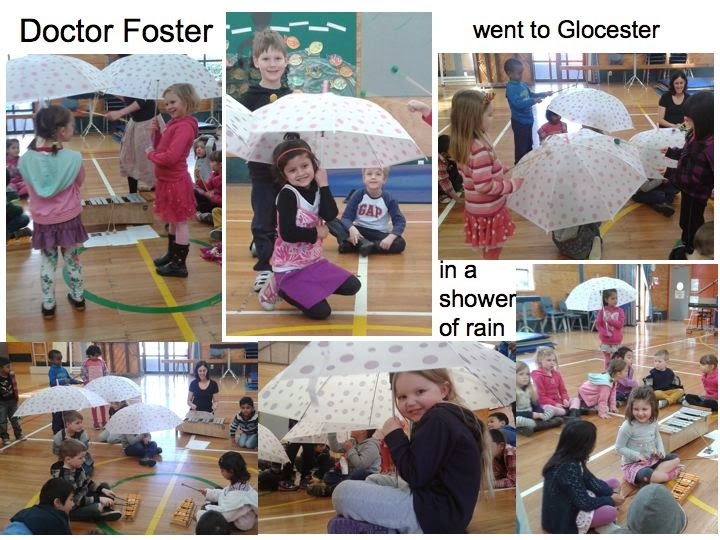 The year one children also enjoyed an opportunity to perform for each other as part of a short informal concert. 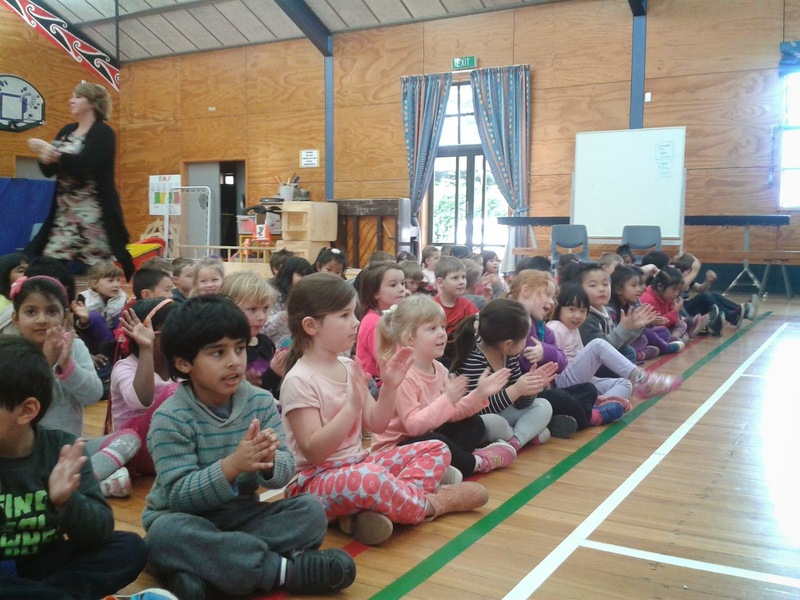 Each class had a turn on the stage to sing, dance, and play a couple of pieces they had learnt so far this year. It was lovely to see the children in the audience clapping and singing along to songs they all knew. There was a lovely sense of community through a shared repertoire of songs and movement pieces. 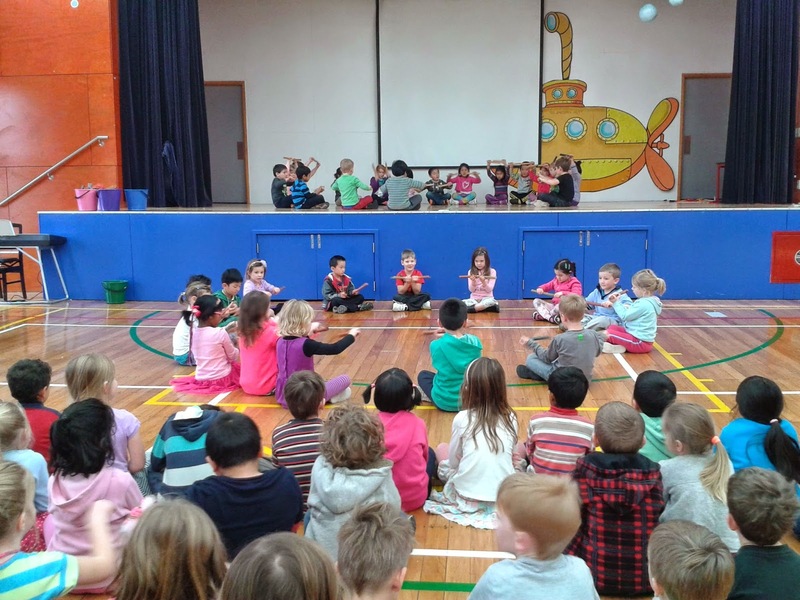 The year two children have been playing some fun new musical games to learn about rhythm, improvising, and playing simple accompainments on un-tuned and tuned percussion instruments. 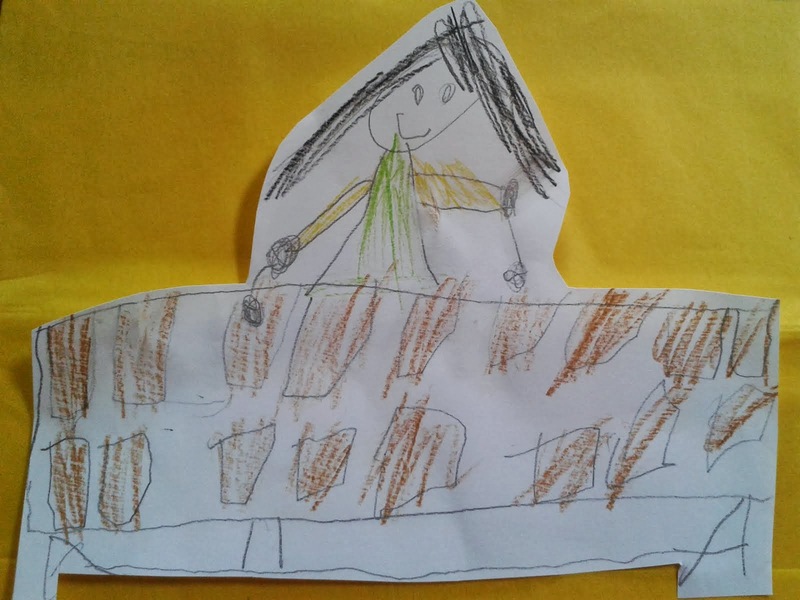 Favourites with the children included: “Squeeze out the gel and Spike up your hair”, “Apple Tree”, “What’s for Dinner?”, “Choc-o-la-te”, and “Goin’ on a Lion Hunt”. 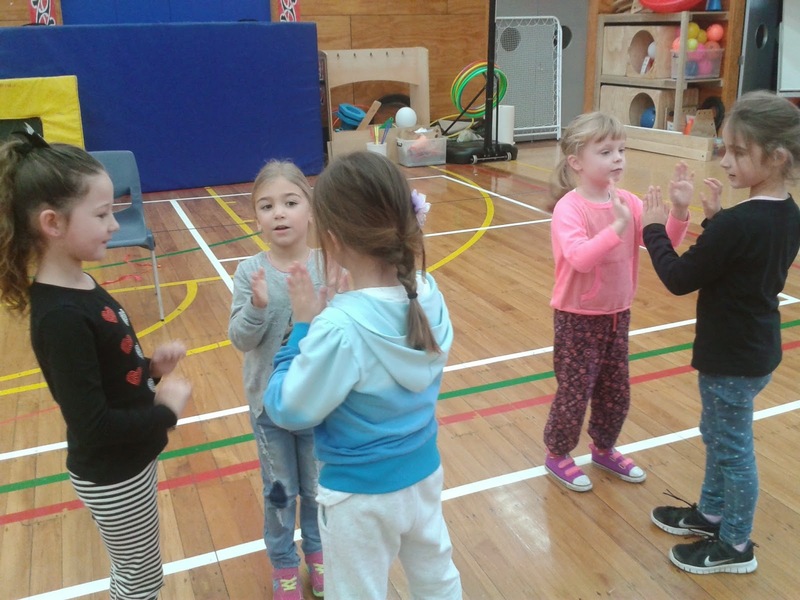 Year Two musicians in the passing rhythm game "Apple Tree"
We also had lots of fun using a poem to inspire music and movement with the nursery rhyme Simple Simon. We learnt a song to go with the poem and a simple accompainment that everyone was able to play on the barred instruments (marimba, xylophones, and glockenspiels). We also had fun creating clapping patterns using names we created for different types of pies Simon might buy including "ap-ple cher-ry rasp-berry pie" and "mince cheese bacon n' egg pie". 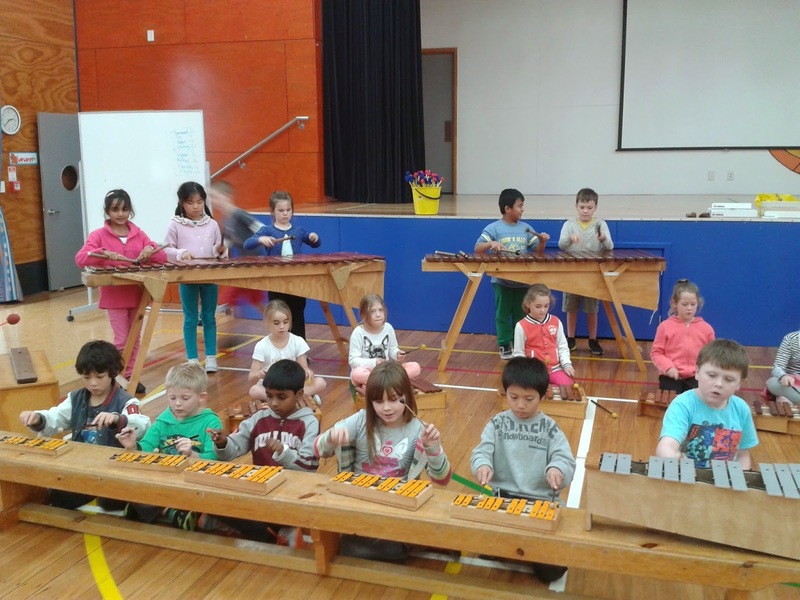 The year threes this term worked on singing simple canon songs (rounds) and playing as part of an Orff-Schulwerk style orchestra made up of different barred instruments (marimba, xylophones, and glockenspiels). 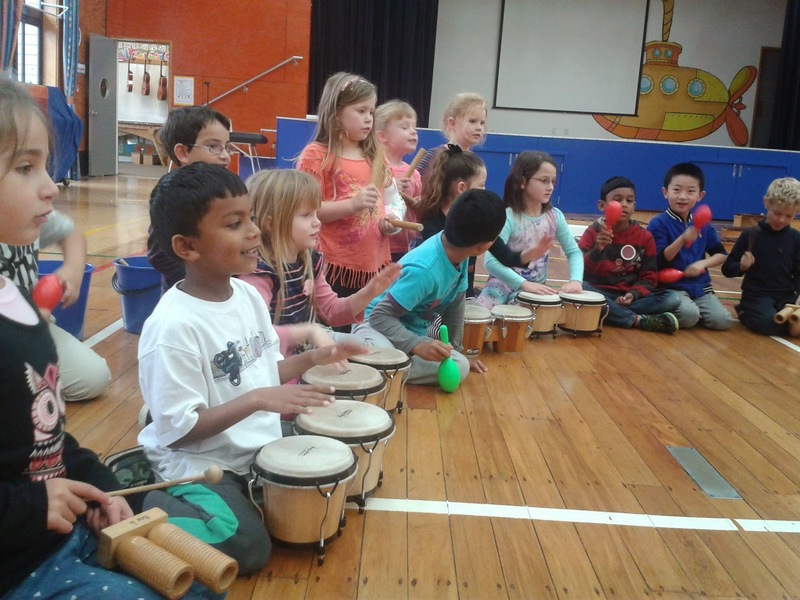 In each lesson the children learnt a song, explored rhythmic accompainments using un-tuned and body percussion (clapping/stamping/patting), and then transferred these rhythmic patterns to the barred instruments in the form of simple accompainments. They learnt what an ostinato is (a simple repeating pattern), and a pedal note (the home note of a key that grounds the musical piece). The children also had opportunities to improvise on the glockenspiels. We did two very New Zealand pieces, “The Parson Bird” by Jeremy Hantler about the song of the Tui bird, and “Seagull Seagull” a poem by James K. Baxter arranged by myself. 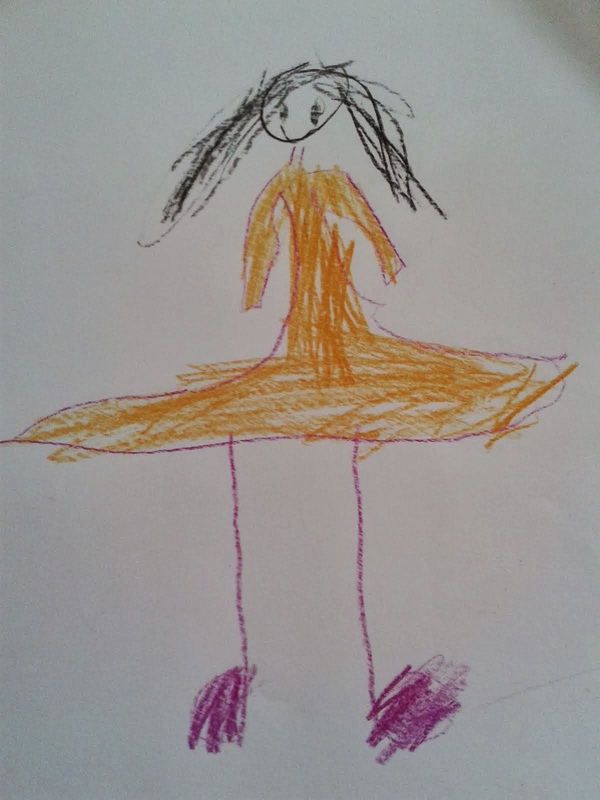 We also had fun with an arrangement of the nursery rhyme “Humpty Dumpty” that used body percussion and another piece called “The Marula Tree” where we sang in harmony and passed shakers around in a simple circle game. Year Threes playing "Parson Bird" by Jeremy Hantler on marimba, xylophones, and glockenspiels. Thank you Priya for sharing your knowledge and the principles of this programme. 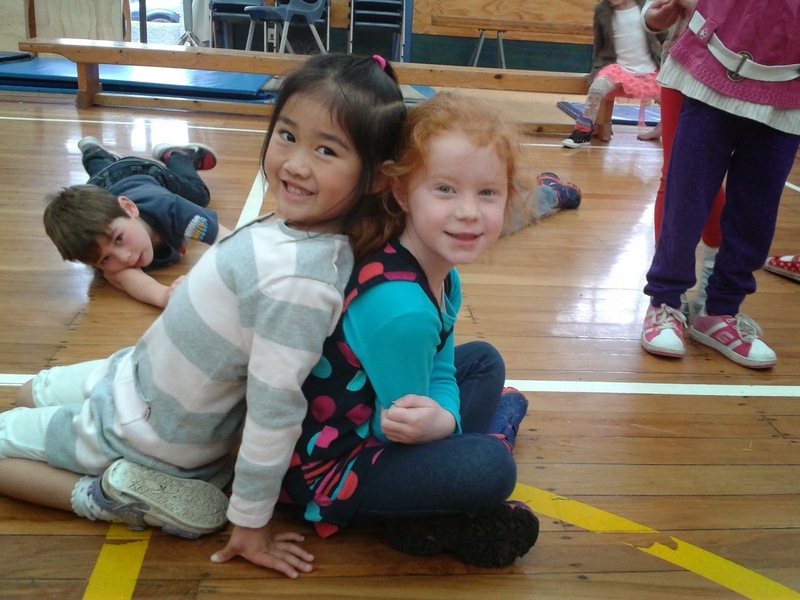 Our students are fortunate to have both you and Angela to help them discover their musical talents and to experience the joy of participating in a group to create music. When I pass by the hall, I see the students smiling and engaged!